© Michael Follmar. All rights reserved. I took this shot while duck hunting on the Willamette outside of St. Paul, OR. The heron was overly ambitious with his meal choice. At first I was not sure what I was looking at floating in the water. 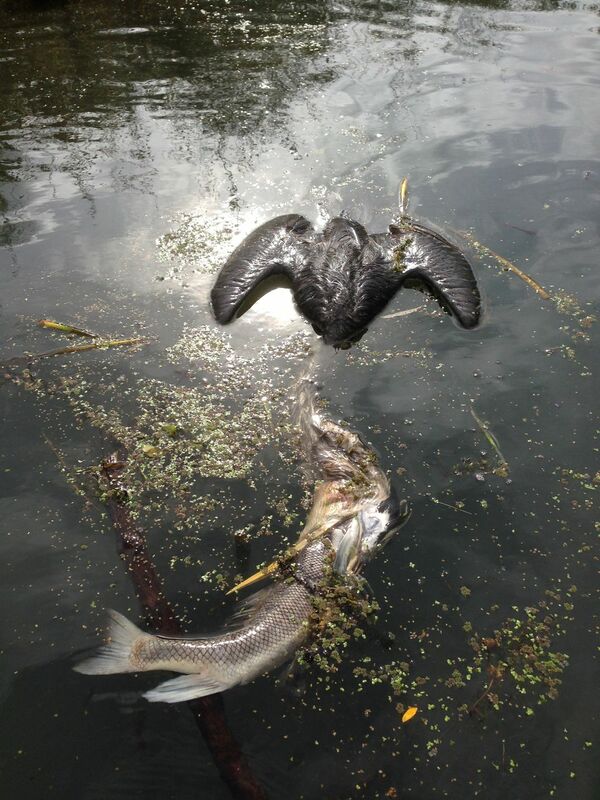 When I realized that it was a heron who died in his attempt at dinner, I had to capture this act of natural selection. Date Uploaded: Oct. 21, 2015, 10:13 p.m.